Home of Chaim Weizmann elevated to museum quality – J.
REHOVOT — One of Israel's most historic homes is once again open to the public, its grace and innovative styling as vibrant today as when it was first completed decades ago. The private Rehovot home of the renowned Zionist leader Chaim Weizmann and his wife, Dr. Vera Weizmann, has not only been restored to its original beauty, but has been elevated to museum quality, from design details to examination and archiving of letters and documents. 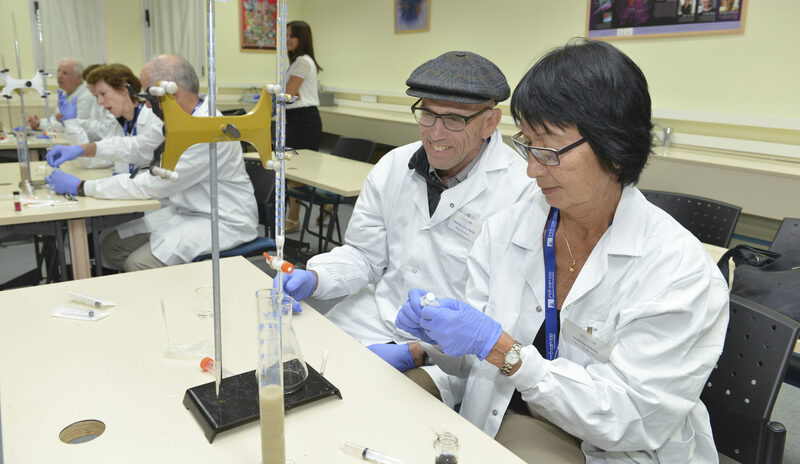 "This combination of legacies is of rich importance in both Jewish and universal terms," said Hanan Alon, vice president for international affairs and public relations at the Weizmann Institute of Science. "Dr. Weizmann's importance and contribution both as an architect of the Jewish state and a pioneering scientist are expressed in all facets of the Weizmann Institute of Science, so we find it fitting to be entrusted, now, with administering his home as well." Chaim Weizmann bequeathed his 11-acre estate to the state of Israel upon his death in 1952 at age 78. Consequently, the Jewish Agency for Israel and the state of Israel created a way to promote Weizmann's myriad contributions to the Jewish people and administer the property. Vera Weizmann continued to live in the family home until her death in 1968 and was buried next to her husband on its grounds. A few years later, the house was opened to the public, enabling Israeli schoolchildren and visitors from around the world to experience history where it was made. Twenty years of continuous activity, however, took a toll on the house and it had to be closed several years ago. In time, funds were sought to restore the estate, which borders the campus of the institute. The challenge was great, because the decision was made to not only refurbish the house, but restore it to its original condition. Mendelsohn, today hailed as one of the top 100 architects of the century and regarded by some as among the leading 10, designed the house long before establishing his acclaimed international reputation. He came to the project through his close personal friendship with Weizmann, whom he regarded as the leader of a state-in-the-making, thus deserving of a residence appropriate to this status. The building's design is as modern as anything being built today, bearing testimony to Mendelsohn's reputation as a modernist and Expressionist. It bears the architect's signature of sweeping curves which seem to defy being executed in cement — an element often emulated by Mendelsohn's admirers. Structurally, the house comprises a concrete frame and silicate bricks, two layers of insulation, and a stucco exterior. Equally characteristic of Mendelsohn is his use of the staircase connecting the two floors. From the outside, the windows, which follow the staircase, serve as a visual "spine" from which the rest flows in symmetry. Internally, the spiral staircase and the natural light bathing it contribute to a soothing ambiance. The building contains 22 spacious and gracious rooms, along with wide verandas on the second floor, overlooking the gardens and with a view to the Judean Hills. The restoration work brought together a microcosm of what Weizmann had worked for as a Zionist. This includes expert restorers, immigrants from the former Soviet Union, working side by side with an Israeli-born curator; the grandson of Mendelsohn's largest private client, the Schocken family of Berlin and Jerusalem, who served as the restoration architect; an immigrant construction supervisor from Kiev who, as a child, had been told tales of Chaim Weizmann by his father; and a furniture restorer from St. Petersburg who had worked at The Hermitage prior to moving to Israel. "It's our luck that we had this wave of immigration from Russia in the 1990s," said Merav Segal, the Weizmann House curator and archivist. "All of our restorers except two are Russian, and they are experts in their specialties." Working under the supervision of curators from the Israel Museum and Professor Anita Shapira, a historian and the chair of Yad Weizmann, the home's original form and interiors were faithfully restored. In fact, Vera Weizmann's meticulous records served as a guide to the restorers, who thoroughly researched her notes and documents, enabling even the draperies to be recreated in an identical fashion. Similarly, project architect Hillel Schocken approached the effort differently from ordinary projects. "This was not typical architectural work," he explained. "My goal was that no one should know I had been there; that if Mendelsohn entered it, he would see it as something he had designed and which had been kept well. This was not easy, since we had to install some modem features, such as an air-conditioning system, then find a way to conceal it." Mendelsohn took a holistic approach to his work, designing not only the house, but the garden and its paths. He lost a battle of wills with Vera Weizmann, however, who insisted on her own preferences in furnishings. This brought a certain British flavor to what Mendelsohn had hoped would be a total statement of new Hebrew architecture, expressed in both design and materials. One can imagine that he would have approved, however, of the additions eventually made to the estate: a monument to the Holocaust and a sculpted entrance gate, both by Israeli artist Danny Karavan. Those visiting Weizmann House can choose from various options offered by the institute's Levinson Visitors Center, including the History Pavilion, depicting Chaim Weizmann's life and times, the Physics Pavilion, and the Garden of Science, featuring hands-on installations manifesting scientific concepts. In the conference room annex to the house, visitors can view "A King Without a Kingdom," a short documentary produced by the Institute from archival material. Visiting the home prior to its rededication on the anniversary of Chaim Weizmann's death, the country's current president, Ezer Weizman, expressed his great satisfaction with the faithful restoration of his illustrious uncle's residence.